A DWI or DUI is a serious criminal offense with harsh consequences and requires an effective defense from experienced criminal defense attorneys. Under North Carolina law, a DWI or DUI conviction will result in at least a 1 year suspension of your license. If you refused the breath test you will automatically lose your license for a year. Obviously a driver's license suspension can have adverse effects on your life. However, there are many other ramifications of a DWI charge or conviction. We have years of experience fighting DWI cases in all different ways. Now that you have been charged with the offense, it is time to act quickly and talk to a DUI attorney Charlotte NC who can help you. Set up a free consultation* with us and we will talk to you and start developing a strategy for defending your charge. Individuals arrested for drunk driving and charged with a criminal DWI should contact a Charlotte criminal defense attorney or a Concord defense lawyer at one of our offices for legal assistance and guidance as to the steps to take to ensure the protection of constitutional rights following an arrest. The Olsinski Law Firm, PLLC provides professional legal services to clients on a personal level, understanding the importance of remaining available to answer questions and keeping clients informed of case progress at each step of the DWI process. Was it a valid stop of the vehicle? Can the state prove the offender was driving the vehicle? Were your allowed visitors or timely release? A driver found guilty of a DWI or DUI can face a jail sentence, large fines, court fees, probation, license suspension, community service, and court mandated education and counseling programs. The courts may increase penalties if there are multiple DWI convictions, if a child was present in the vehicle at the time of arrest, or if a DWI collision resulted in injuries or deaths, or a hit and run accident. Our firm is skilled in defending DWI cases and dedicated to helping drivers achieve the best possible outcome of their case. Make an appointment today for a consultation with a criminal defense lawyer with proven results in DWI and DUI defense. A DUI or DWI in North Carolina can result from a blood alcohol concentration (BAC) on a breathalyzer test of.08 or above, from impaired driving as observed by law enforcement, from drug-impaired driving, or a combination of drinking and drug-impaired driving. Drug-impaired driving can be caused by illegal drugs, such as marijuana, cocaine, or other controlled substances, from the use of prescription drugs, as well as over-the-counter drugs which can result in drowsiness or other debilitating effects on the nervous system and motor skills. While it may be harder to prove the drug impairment then an alcohol impairment, officers have begun producing a lot more substance related DWI arrests in recent years. If law enforcement pulls you over on suspicion of a DWI or DUI, you are required to submit to a chemical test based on implied consent laws, which are part of your agreement when issued a North Carolina driver's license. If you refuse to take a breath or blood test, your driving privileges will be suspended by the DMV for a year. If your BAC is.08 or higher as a residential driver or.04 or higher as a commercial driver, the test results will be submitted as evidence of your offense to the court. Having a skilled and dedicated Charlotte DWI lawyer or Concord DWI attorney in your corner as soon as possible can make a significant difference in how your case evolves throughout the legal process and in its final outcome. 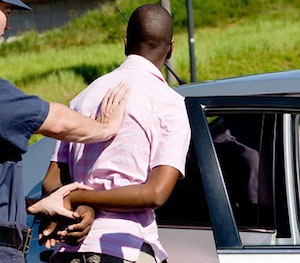 Defending a DWI charge can be very complicated. Some of the most common areas we look at is suppression of the stop and the arrest. This attack is very fact specific, which is why we have you come in and talk to us before we can elaborate on how we plan on fighting your case. In other circumstances we may try to suppress the BAC or blood test result. Each driving while impaired case has its own unique set of facts, and many times the case can turn on one word from you or the officer. The District Attorney's offices do not make many offers on DWI cases, for this reason they are more expensive to handle then a typical misdemeanor, but our fee always includes our fight. We go into each case letting you know that we will fight for you and that you can expect a fight at the end of the search for information. Please call and set up a consultation, these matters are too complicated to explain over the phone or through a brief description online. Contact a Charlotte DWI defense lawyer or Concord DWI defense attorney at one of our offices for legal representation against DWI allegations.